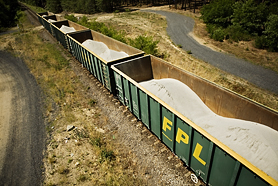 Our rolling stock has been adapted for the most effective transportation of large aggregate volumes. If a route has suitable track parameters, we are able to move with one locomotive and one wagon set consisting of 45 wagons with just a single train ride nearly 3 200 t.
With our own newly constructed and highly competitive wagons, type Eamnoss, we are able to transport up to 29% more in a single train ride, compared with a train using traditional open box wagons. 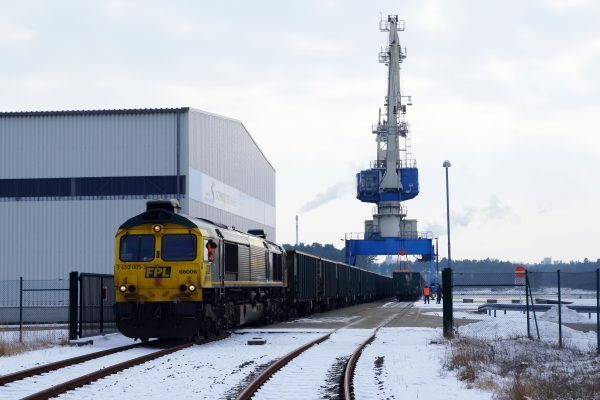 Thanks to specially constructed bogies, our class 66 locomotives are able to perform shunting services on last mile operations, negotiating tight curves and thereby saving our customer’s precious time.